“What a world, what a world!” cried the Wicked Witch. This week in Captioning, there’s just too much to choose from. You gotchur Bengazi scandal still unfolding and it’s all below Hillary!’s pay grade; there’s Holder recusing himself from the AP phone records grab that he never knew nothin’ about; Geithner is completely ignorant of the I*S reign of terror and wasn’t even home that day anyway…and Obama found out about all of this from the evening news (and Colbert, no doubt). So, how does all of this fall out? Well, my prediction is that the house sneaks their Immigration farce off to the Senate under the cover of Friday-night-document-dump secrecy. What do I know, though? Go ahead, give us your best conspiracy theory, prediction or favorite insult. ‘S all good here at Friday Night Captioning where we Caption That! *Used to foil Google searches, performed by unsavory characters for the purposes of targeting enemies of The State of Obama. Paranoid? BWAHAHAHAHAHA yes. Posted on May 17, 2013 May 24, 2013 Author BrendaKCategories Caption THAT, Teh Silly82 Comments on “What a world, what a world!” cried the Wicked Witch. Oh, wait…I mean YOU vote. Voting closes sometime tonight, and the Best Comment winner will be announced on Friday afternoon (which is prior to the next Caption Contest which starts at 9:00 pm ET). It’s going to be the look for Winter ’14, just you wait and see! 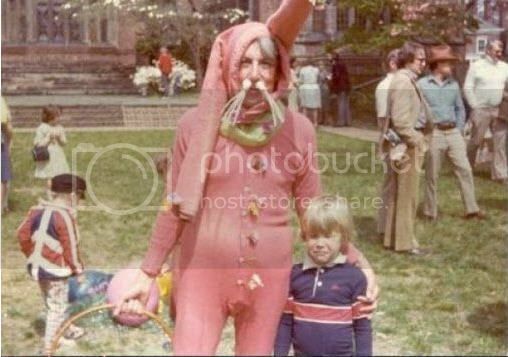 We’ve all got one…that scary relative who would have no problem dressing up as the easter bunny in oddly festooned pink underwear and a couple of poorly wrapped head towels — right? Or is that just me? Anyhoodles, in rememberance of crazed relatives everwhere — CAPTION THAT! *Also, just where IS Joe Biden these days? 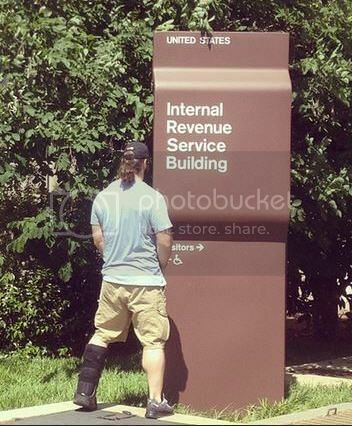 We haven’t seen him in pubic for weeks now. Yeah, I dunno; that pic just made me think of him. That was a pretty scary Caption Contest image, wasn’t it? Whew. Here’s a much gentler soul to spend a little time with. Tonight, a study in the esoteric realms of international diplomacy. Not a Sith Overlord…as far as you know. That’s right, it’s Hillary! The world is a slippery place, and we can only guess at what our omnipresent Sec State has in store for us — and for the world. Don your tinfoil attire and hoist your conspiracy flag high; it’s time to CAPTION THAT! And now you get to vote for Best Caption! Vote like the wind! This week’s prize for last week’s Caption Contest is fresh from extensive archeological digs under my kitchen sink — the lucky winner will receive a vintage water canteen! It may leak, but it may not. Just like in The Hunger Games, having water will save your life in Post Apocalyptic America. If the odds are in your favor, of course. And if the canteen holds up. Posted on May 3, 2013 May 3, 2013 Author BrendaKCategories Teh Silly2 Comments on Who votes? YOU Vote! That was fun! Now, let’s lift the veil on a New Thread! Posted on April 26, 2013 April 26, 2013 Author BrendaKCategories Teh Silly19 Comments on Whew! Pop culture! 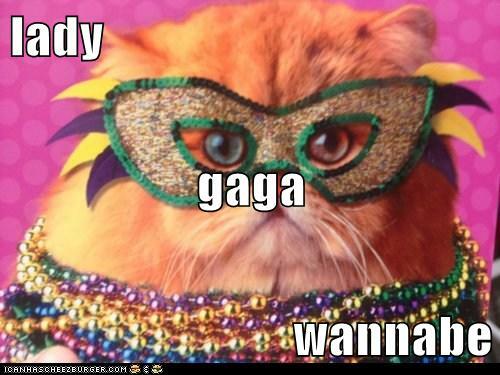 And who better to celebrate that with than the Red Queen of Inscrutable Weirdness, Lady GaGa. She’s making a speech here, she’s got somethin’ really important to say, and I’m sure you know just what that something is…so Caption That!